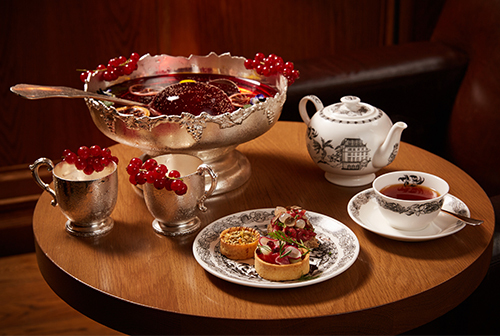 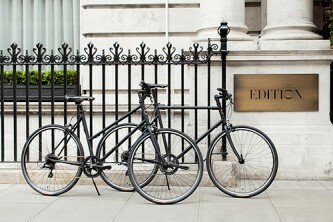 Known for its unique creative offerings, the London EDITION has a history of providing special activities, such as its recent collaboration with Tokyo Bike and new afternoon tea concept, Scandal Water. 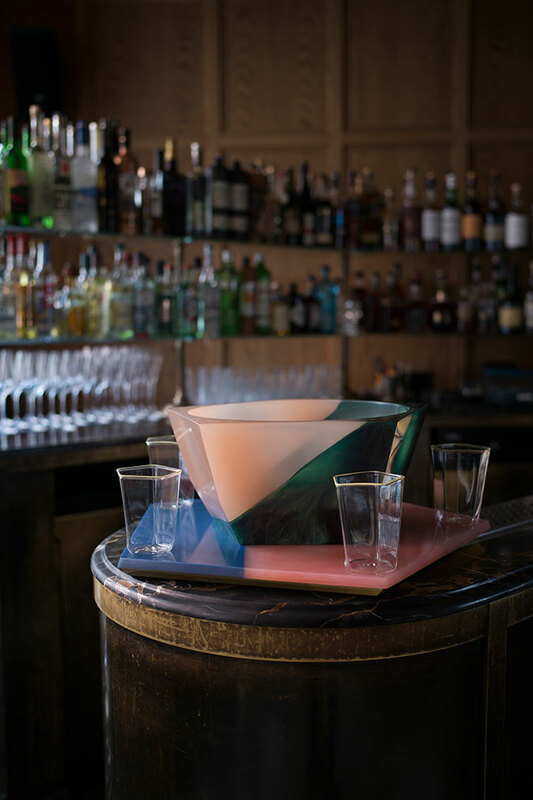 The hotel now launches a new Punch Bowl with talented design duo Campbell-Rey to celebrate the inaugural London Design Biennale this month. 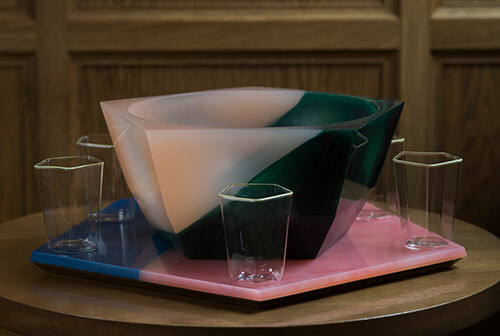 Taking inspiration from the unique fusion of vintage and modern aesthetic within the hotel’s interiors, the new piece is rendered in a pentagonal shape with a green jade effect, highlighted by an ombré peach color, and embellished with a blue and pink tray. 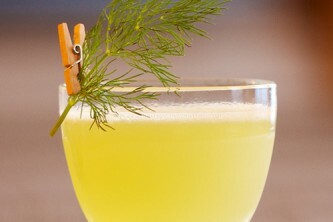 To accompany the bowl, Italian glassmaker Laguna B crafted five delicate, hand-blown cups with contrasting yellow rims that make the set itself look like five stars in the galaxy. The bespoke Campbell-Rey Punch Bowl is now available at the London EDITION.